We’ve had more than a few pairs of headphones come through the doors at Techaeris in varying shapes, sizes, and feature sets. 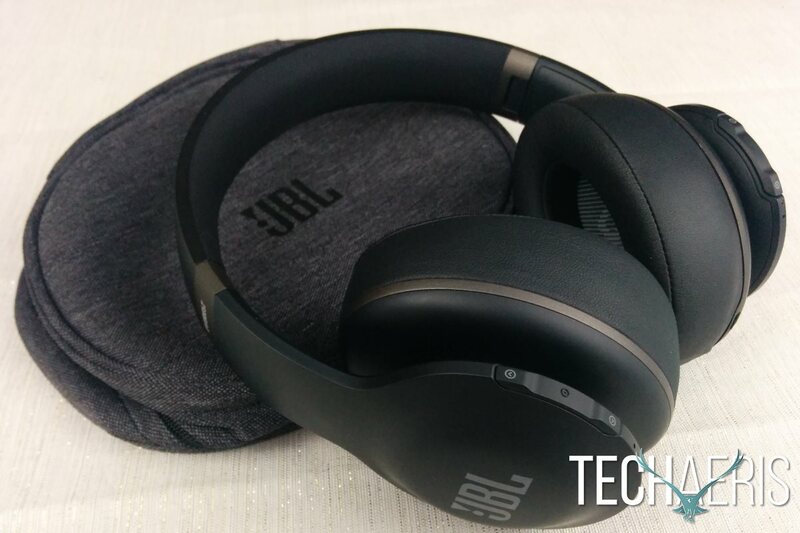 We’ve had the opportunity to check out a handful of products from JBL too, and been left quite impressed. 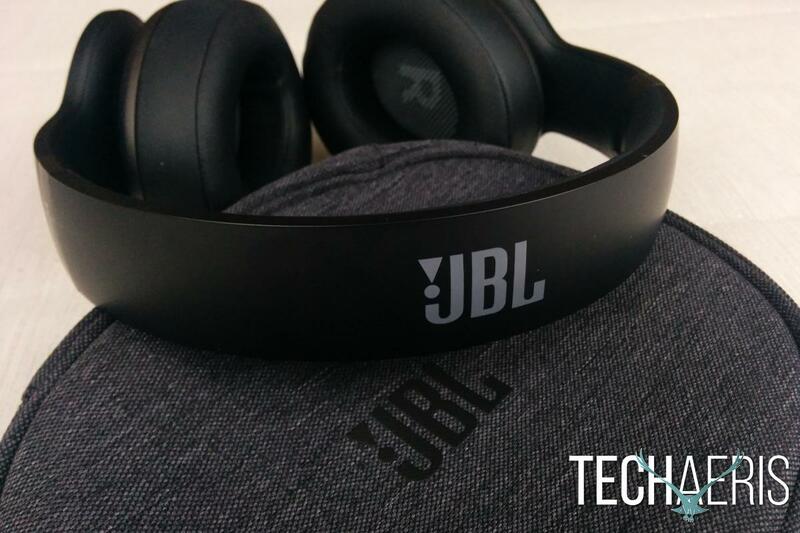 Will the JBL Everest Elite 700 headphones continue with the tradition of quality from JBL? Keep reading to find out. 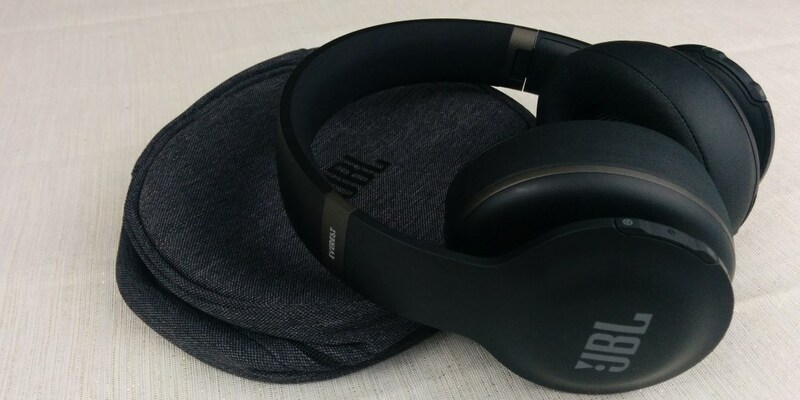 When you first open the box for the JBL Everest Elite 700 headphones, you’ll be greeted by a pair of large padded earcups attached to a nearly circular headband. The headband is about an inch wide, flaring out to two circles where the earcups attach. 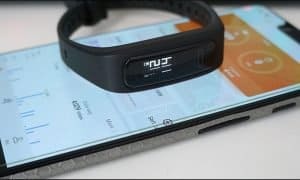 The headband is mostly a hard plastic, though there are metal accents including the Elite 700 branding, and the areas where the headband extends to accommodate larger heads. This extension happens right below the Elite 700 branding, which is also where the headband will bend to collapse into a smaller form factor to fit into the included soft case. There is a thin strip of soft padding on the crown of the headband too in order to help keep the top of your head more comfortable. With that said, the more rounded design does cause the headband to stick out a bit when the headphones are extended all the way. The thin padding on top is also maybe just a bit too thin. Wearing the headphones in what I would consider the most “normal” way would get a little bit uncomfortable after awhile, though tilting the top of the headband just very slightly forward or backward would make a big difference. This may also just be a side effect of having a giant head. More normal-sized users may not have the same issue. The headband includes all of the control buttons on the back side of the headband. On the left side you’ll have volume up/down and play/pause/multifunction button controls. On the right side there’s the power button and Smart button as well as LED indicators for power, Ambient Aware on/off, and charging status. The earcups are entirely separate from the headband and do stick out just a little bit farther than some other over-ear headphones. The shells of the earcups are hard plastic while there is thick, soft leather padding. The earcups are shaped well, and do really encapsulate your ears. 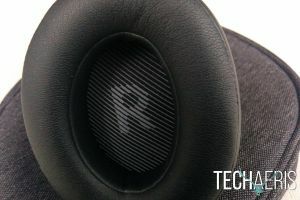 The mesh covering the speaker on each earcup is labeled to denote which side is which, with a large L or R. This is honestly a really great way to label the earcups since it’s easy to read, and doesn’t take away from the rest of the design aesthetic when you’re wearing the headphones. It’s a small touch, but one that really makes a lot of sense. The right earcup also includes the microUSB and 3.5mm audio cable inputs. The padding on the earcups is a different story from the padding on the headband. The cups are very nicely shaped and exceptionally padded. The earcups are very comfortable even during very long listening sessions. If you’ve connected one Bluetooth device to your phone, you’ll be able to connect the JBL Everest Elite 700’s. Bluetooth pairing is really pretty straightforward at this point, so not a lot of attention needs to be placed there. JBL does have a companion app — My JBL Headphones app — that allows you to tweak equalization, start their TruNote calibration process, determine how much noise will be let in when noise cancelling is turned on, as well as update headphone firmware and check battery level. Equalization has several presets including Jazz, Vocal, and Bass, but you can also create your own custom settings, tweaking ten bands across the high, mid, and low spectrum of sound. You can also look at the included presets to see how they are set, and adjust to your liking. Honestly, the default setting without any equalization tweaking provided a good sound with strong bass, but also clear mids and highs, but the options are available for tweaking if you’d like. We’ve talked about some JBL products in the past, and some reviewers have had some issues with the included apps. The My JBL Headphones app isn’t without its quirks, but as long as you know how it wants things to work you shouldn’t have any issues. If you want to adjust any settings, including equalization, active noise cancelling, or run TruNote calibration you’ll just want to open the app before turning on the headphones, or at least when no other apps, games, etc. are pushing sound. If you’re already listening to music on the headphones, the app won’t connect, but if you quit out of whatever music app you’re using you should be able to get in. So just get your settings the way you’d like them before turning on the tunes and you’ll be all set. I mentioned very briefly in the last section, but these headphones have a good, clean sound. With the equalization settings turned off you’ll still get a good balance of bass, mids, and highs, with the various settings pushing one or more of those areas a bit more than the others. The 40mm drivers produce a lot of sound, and while there is some occasional muddiness in the mid-range you’ll get a mostly very clean sound. 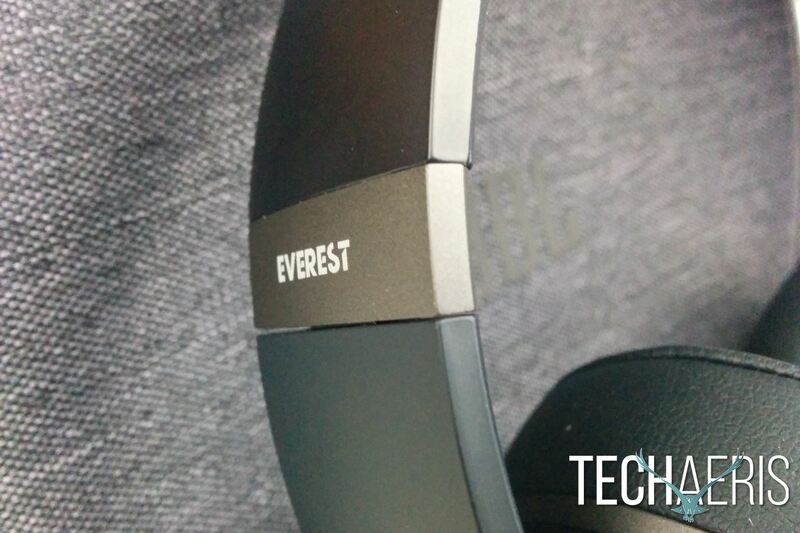 I put the Everest Elite 700’s through my normal gamut of musical styles, and they performed admirably. Everything from jazz to metal, to pop, to dubstep, and everything in between sounded good. As with some other headphones I’ve reviewed recently, the Everest Elite 700’s also feature Active Noise Cancelling (ANC). ANC does create a more immersive experience when you are listening to music, though in the case of these headphones, ANC actually softens the overall output slightly, though not enough that you’d need to adjust the volume. If you’re in an area where you need to be able to hear your music and your surroundings, you can use the My JBL Headphones app to adjust what JBL calls NXTGen Active Noise Cancelling, or Ambient Aware. You can choose how much outside noise is allowed in while you’re wearing the headphones. The effect is interesting when you don’t have any music playing since you’ll be able hear outside noise. 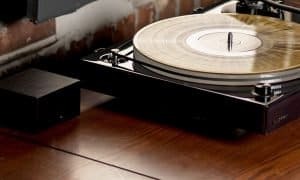 If you’re listening to music at any volume above a whisper, you won’t really be able to hear any sort of outside noise even at the highest ambient noise setting. Even with NXTGen turned all the way down and ANC at its highest setting, we still aren’t quite into complete radio silence with ANC on and no music playing. These headphones do block out some outside noise, though you will still hear most anything going on around you if you don’t have any music playing. TruNote calibration is a proprietary system from JBL that customizes the sound of the headphones based on how the earcups fit around your ears. It takes just a couple of seconds to run via the app. I was pleasantly surprised by the call quality of these headphones. In most cases, headphones, earbuds, etc. will make and receive calls, but it won’t always be the best experience. In my testing with the Everest Elite 700’s calls were honestly very clear and callers could hear and understand me without issue. JBL’s battery claims range from fifteen hours of Bluetooth music along with Active Noise Cancelling, or up to around 19 hours of only ANC, or ANC along with wired use. Wired use only is of course unlimited, so no need to worry about that. In my testing I found the fifteen hour estimate to be pretty accurate. Having a battery gauge in the My JBL Headphones app is also helpful to give you an idea of how much juice is left too. With a suggested retail price of $299, the JBL Everest Elite 700 headphones are priced on the higher end of the headphone spectrum. 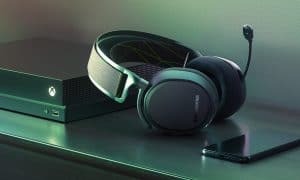 With their clear sound,comfortable earcups, active noise cancelling, equalization, and other features available via the app these are a quality pair of headphones. 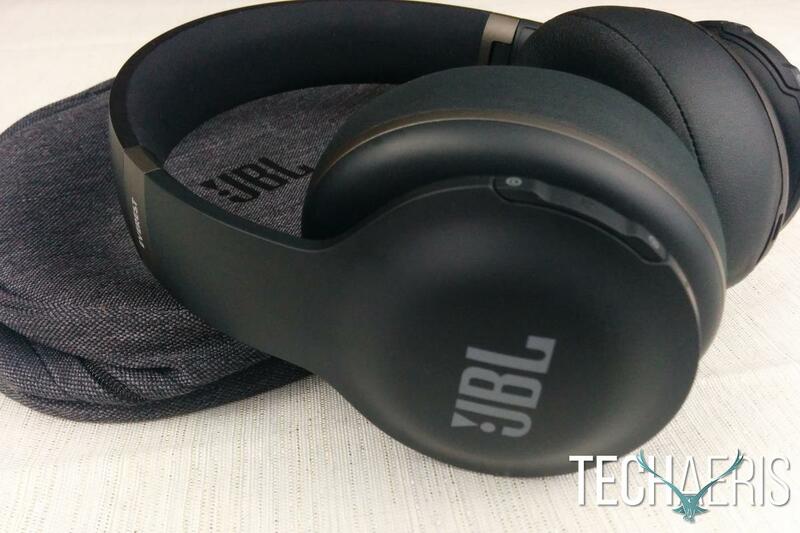 As of the time of publishing, JBL is even offering these headphones for $250, making them an even better deal. 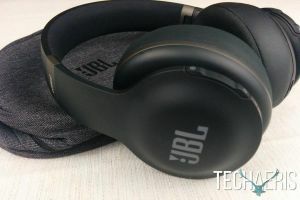 *We were sent a demo unit of the JBL Everest Elite 700 headphones for the purposes of this review.